Check the maintenance schedule to see how many hours are left before you need to change the oil, filters, and plugs. If there are only a few hours remaining, go ahead and change them now so you are not changing them in the dead of winter. 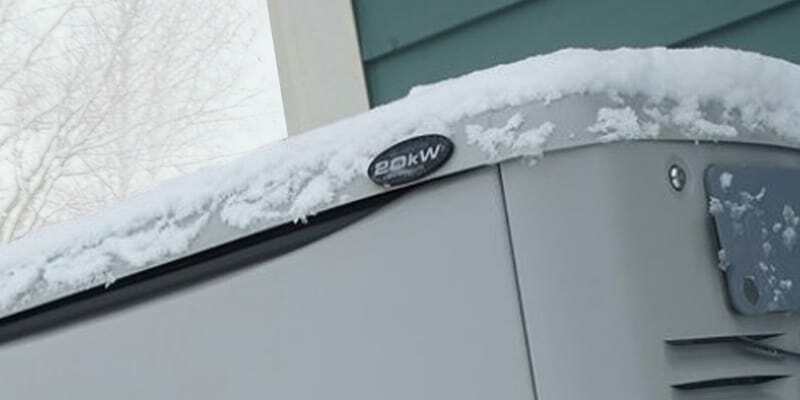 A good maintenance plan is the best way to ensure your generator is in top running condition during the winter months. Be sure to winterize your unit if you haven’t already done so: The fuel should be treated with anti-gel and anti-microbial additives and your radiator should have the proper coolant mixture. If you’re in an area where the temperature falls below 40 degrees Fahrenheit, your generator might need a cold weather kit. This kit helps the engine start in cold weather by keeping fluids and other components warm. Generators require fuel, and that fuel needs to be replenished every 24, 48, or 72 hours depending on the size of the generator, the fuel storage tank, and the load being pulled from the unit. After a natural disaster, fuel is often in short supply and emergency fuel vendors typically have the resources to remedy this problem. Flooding, snow, and other debris can also make it difficult to obtain fuel or access generators and a good emergency fuel vendor will have the transportation required to do so.